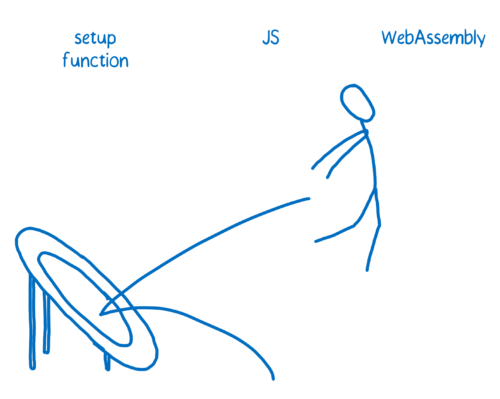 This is the sixth part in a series on WebAssembly and what makes it fast. If you haven’t read the others, we recommend starting from the beginning. On February 28, the four major browsers announced their consensus that the MVP of WebAssembly is complete. This provides a stable initial version that browsers can start shipping. This provides a stable core that browsers can ship. This core doesn’t contain all of the features that the community group is planning, but it does provide enough to make WebAssembly fast and usable. Even in the initial release, WebAssembly will be fast. But it should get even faster in the future, through a combination of fixes and new features. Some speed improvements will come as browsers improve WebAssembly support in their engines. The browser vendors are working on these issues independently. Currently, calling a WebAssembly function in JS code is slower than it needs to be. That’s because it has to do something called “trampolining”. The JIT doesn’t know how to deal directly with WebAssembly, so it has to route the WebAssembly to something that does. This is a slow piece of code in the engine itself, which does setup to run the optimized WebAssembly code. This can be up to 100x slower than it would be if the JIT knew how to handle it directly. You won’t notice this overhead if you’re passing a single large task off to the WebAssembly module. But if you have lots of back-and-forth between WebAssembly and JS (as you do with smaller tasks), then this overhead is noticeable. JITs have to manage the tradeoff between faster load times and faster execution times. If you spend more time compiling and optimizing ahead of time, that speeds up execution, but it slows down start up. There’s a lot of ongoing work to balance up-front compilation (which ensures there is no jank once the code starts running) and the basic fact that most parts of the code won’t be run enough times to make optimization worth it. Since WebAssembly doesn’t need to speculate what types will be used, the engines don’t have to worry about monitoring the types at runtime. This gives them more options, for example parallelizing compilation work with execution. In Firefox we’re working on a two-compiler system. One compiler will run ahead of time and do a pretty good job at optimizing the code. While that’s running code, another compiler will do a full optimization in the background. The fully-optimized version of the code will be swapped in when it’s ready. One of the goals of WebAssembly is to specify in small chunks and test along the way, rather than designing everything up front. This means there are lots of features that are expected, but haven’t been 100% thought-through yet. They will have to go through the specification process, which all of the browser vendors are active in. These features are called future features. Here are just a few. Currently, there’s no way to interact with the DOM. This means you can’t do something like element.innerHTML to update a node from WebAssembly. One way to speed up code is to make it possible for different parts of the code to run at the same time, in parallel. This can sometimes backfire, though, since the overhead of communication between threads can take up more time than the task would have in the first place. If you read other posts or watch talks about WebAssembly, you may hear about SIMD support. The acronym stands for single instruction, multiple data. It’s another way of running things in parallel. SIMD makes it possible to take a large data structure, like a vector of different numbers, and apply the same instruction to different parts at the same time. In this way, it can drastically speed up the kinds of complex computations you need for games or VR. This is not too important for the average web app developer. But it is very important to developers working with multimedia, such as game developers. Many code bases in languages like C++ use exceptions. However, exceptions aren’t yet specified as part of WebAssembly. If you are compiling your code with Emscripten, it will emulate exception handling for some compiler optimization levels. This is pretty slow, though, so you may want to use the DISABLE_EXCEPTION_CATCHING flag to turn it off. Once exceptions are handled natively in WebAssembly, this emulation won’t be necessary. Some future features don’t affect performance, but will make it easier for developers to work with WebAssembly. First-class source-level developer tools. Currently, debugging WebAssembly in the browser is like debugging raw assembly. Very few developers can mentally map their source code to assembly, though. We’re looking at how we can improve tooling support so that developers can debug their source code. Garbage collection. If you can define your types ahead of time, you should be able to turn your code into WebAssembly. So code using something like TypeScript should be compilable to WebAssembly. The only hitch currently, though, is that WebAssembly doesn’t know how to interact with existing garbage collectors, like the one built in to the JS engine. The idea of this future feature is to give WebAssembly first-class access to the builtin GC with a set of low-level GC primitive types and operations. 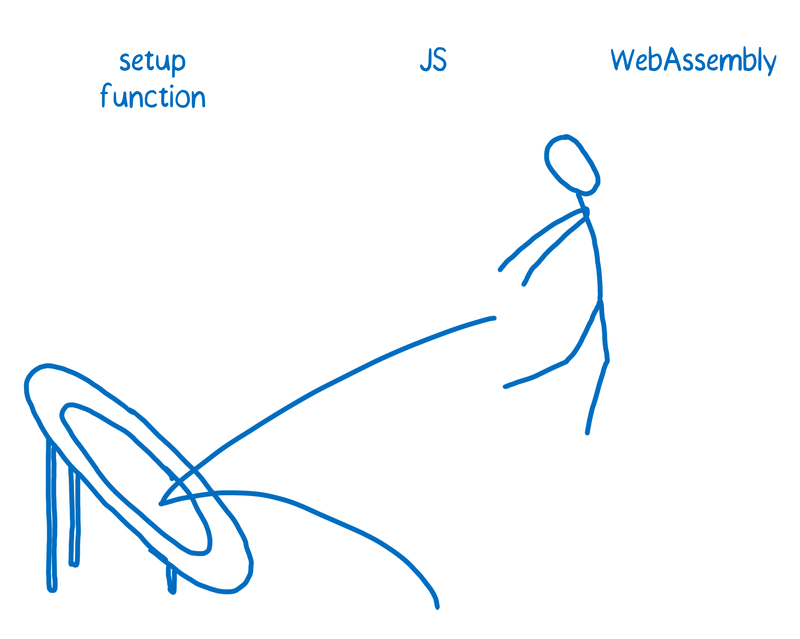 WebAssembly is fast today, and with new features and improvements to the implementation in browsers, it should get even faster. Hopefully the WA community will develop and tell the WA E story. Can the WebAssembly provide a higher level of security/resilience for DRM protection mechanisms? Thanks for putting these articles together. Well done! Thanks for the informative and beautiful series of articles. Isn’t it possible that WASM becomes “JSVM”? This would give you an option to either compile JS for WASM or have it interpreted by JIT. I believe C# 4 and Lisp have many dynamic features but are also complied languages. Awesome series, I cannot wait to start using WebAssembly myself! All these new possibilities this implies are really exciting. Thanks for sharing this amazing news Lin :) , I can’t wait until it’s more stable to use it on my current web applications. Do you have a url to WebAssembly API or specification so I can get familiar a head ? 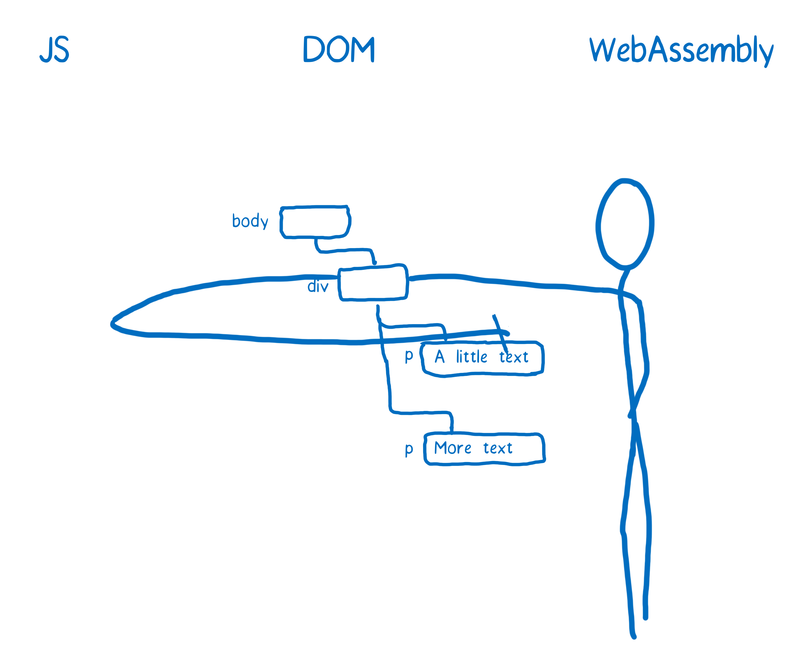 You can find out more about the spec and the API on the WebAssembly site. We also have more docs on Mozilla Developer Network. Hi Lin thanks for your serie of articles on web assembly. You make it look amazingly simple and intuitive. Thank you for this series, very informative! As for WebAssembly in general, I’m really happy that the major browsers have reached a consensus on this. asm.js is a brilliant and creative idea, but it’s a band-aid nonetheless. WebAssembly is the clean solution that a lot of us were hoping for, and it’s only going to get better (i.e. faster and easier to use) from here. Just finished the series, very well written. Thanks! 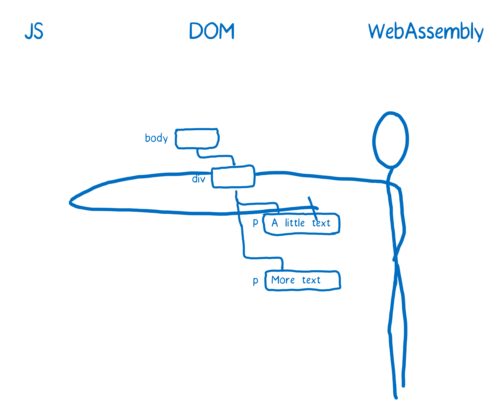 A great series which gave a fairly detailed, yet intuitive introduction to WebAssembly. Looking forward to playing around with it soon. I did know about your code cartoon when started learning React, Flux, Redux, Graphql. And now, I intend to learn WebAssembly, Rust then I meet your code cartoon again. Is this destiny :)). Thanks a lot, Lin! You did save my career path ! I don’t usually comment on articles I read but this one is truly spectacular, thanks a lot. Wow, just finished this great series! It was very interesting and clear, liked the cartoons. Thank you! As a non web developer I managed to follow along pretty well, all thanks to your very clear explanations! Great job! WebAssembly is the centerpiece of my bachelor project, and these articles were extremely helpful. Thank you!